Suitable for high speed, high efficiency drives. Flexibility allows smaller pulley diameters. 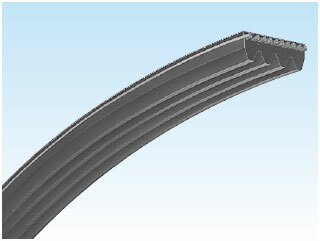 Minimizes belt vibration and provides space saving drive design.